A group show with sixteen emerging and internationally renowned artists whose work humorously, poetically and critically reflects on the construction of our contemporary online identities, self-image and the implications of the ‚broadcasted selfie‘. The title of the exhibition YOU MIGHT BE A DOG draws on Peter Steiner’s seminal cartoon for the New Yorker in 1993, which included two dogs sitting in front of a computer with the catchphrase. On the Internet, nobody knows you’re a dog. This idiom has now come to represent a turning point in Internet history reflecting how users could send and receive messages without been identified. Although users local access points could reveal something of their persona the idea expressed in the cartoon was that essentially you could be talking to a dog as little information was given on the other person. The Internet was essentially an anonymous space. This anonymity enabled a freedom of expression, which over time has become more complex and commodified. Anonymity is now a privilege. Simultaneously the WWW has enabled thousands to tell their stories and has been incremental in sanctioning political change. As with any tool, embodied within the Internet and its architectures are possibilities, limitations and restrictions. Across this spectrum of use, the Internet has also provided a global platform for unpredicted levels of everyday, exposure of the individual. From status updates, Twitter feeds to the thousand plus online photos albums that document our lives. We have now grown accustomed to this deluge, which for some has become their de facto mode of communication. This in itself has become the qualified self in action. Self-fueled it is mediated by social networks who tap into our innate need as social animals to communicate. Within this no better counterpoint to Steiner’s cartoon is the selfie, which in August 2013 was added to the Oxford Dictionaries and nominated Word of the Year. The selfie is the antithesis of the anonymous user or person; constituting instead a blatant announcement of ones own image across the Internet. The selfie and our various online profiles also connect to a tradition and history of self-portrait and associated theories of identity development and formation, including themes of individuality, community, narcissism, play, sexuality and gender politics. Within this context the selfie is not simply a throwaway pop-gesture but conjoins to our inner psyche and need for constructing and reconfirming who and what we are. In entering the English dictionary the selfie reveals how within less than two decades, our popular culture metaphors illustrate the complexity of how we as users represent ourselves online. From cartoons, caricatures, avatars, social network profiles, server signatures, account names, homemade YouTube videos and self portraits the form our representation takes within and across our techno-networks has ever been more important. Such poignant representations comment not only on the socio-techno construction of the self but also provide a lens, which paradoxically reflects how our cybernetic systems are enabling us to live in new ways beyond our biological moment of death. This construction and performance of the self-online and its consequence is the central theme explored in YOU MIGHT BE A DOG. The work selected brings together practitioners, who are directly and indirectly exploring how the net inscribes and influences new narratives of self. At its most intimate this is reflected across many of the works, within which the artists image is central to the reception and creation of the work. 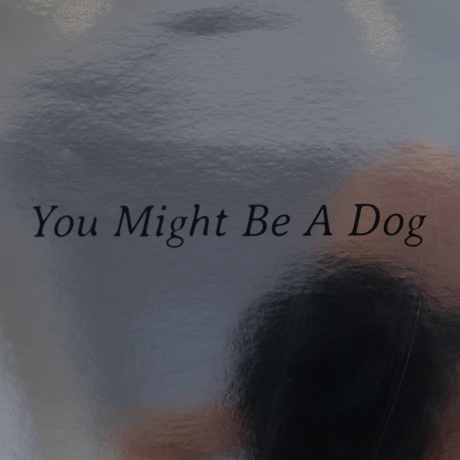 In bringing together sixteen emerging and internationally renowned artists YOU MIGHT BE A DOG. illustrates how our connected digital tools are providing new mirrors from which to observe and witness our emerging selves, while simultaneously provoking both tender and discomforting interpretations of what it means to be human within our cybernetic age. Collaboration with LEAP, Berlin. Web and flyer design by Danja Vasiliev. Special thanks to all the artists involved and John McKiernan for making it happen and Daniel Franke (LEAP) with support from Irish Embassy, Berlin.